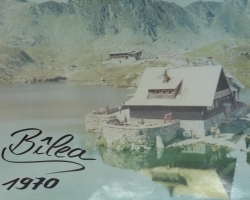 The cauldron ice age is sheltering the emblematic Bâlea Lake (4.6 ha, altitude 2.034 m) with the most beautiful mountain challet, is by far the most important sports center on altitude in Romanian Carpathians. 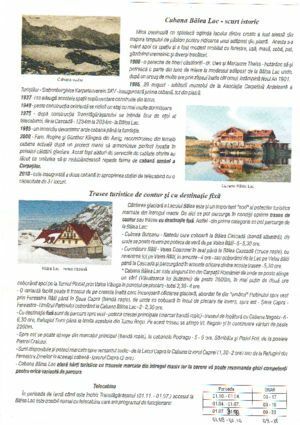 Located in the heart of Făgăraş Mountains – itself the grand mountain complex of our Carpathian – Bâlea Lake area, part of the natural reserve (180 ha) presents a typical glacial relief with moraines, terraces,valley -shaped “U” dominated by increases deep crown from which rises from the northeast to the southwest Vaiuga 2.443 m peak , separated by Iezerul Caprei peak 2.417 m, Şaua Caprei peak 2.315 m, Paltinul peak 2.398 m. From here the edge Bâlea descend northwards beyond the Bâlea falls to the Mierea (Honey) peak 1500 m.
Austere landscape of unique beauty is overwhelming in summer especially winter. Then move this fascinating world of high snow frozen north with shimmering pendants like the eaves heights ephemeral blend in white clouds . From the Şaua Netedului – “gate” access Arpaşel Reserve fauna – look includes an endless succession of high peaks and feathered for winter mantle hides hanging glacial valleys complex or simple , sharp edges and spurs , needles and massive towers aligned on a gable good alpine Himalayan flavor . Lake ice over a meter in the sun dripping stalagmites frost petrified waterfall in Bâlea window . The earliest evidence of a climb on the mountain was recorded by Dr. G. Lindner around 1700, in the region Bâlea – Doamna Valley. Before the year 1750 a new reference mentions in this area of Captain Jacob Zultner with geographical purposes and related border demarcation. An important role in promoting tourism in this area had the Transylvanian Carpathian Society– Siebenbürgischer Karpatenverein (SKV) – founded in Sibiu in 1880. SKV has built several access roads to the mountain and made a significant number of bookmarks and has held numerous summer and winter ascents, many of them the first time. 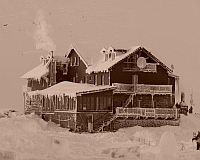 In 1975 to facilitate access to the cottage and ridge routes was built the cable car line.